Doing my best to enjoy the post-holiday peace and quiet before embarking on a bunch of new ventures in the new year. We’ll see how long the serenity lasts. I know Oolong’s certainly taking advantage of the lull to… run amok and cause trouble. Oh, cats. Just look at those cutie paws! 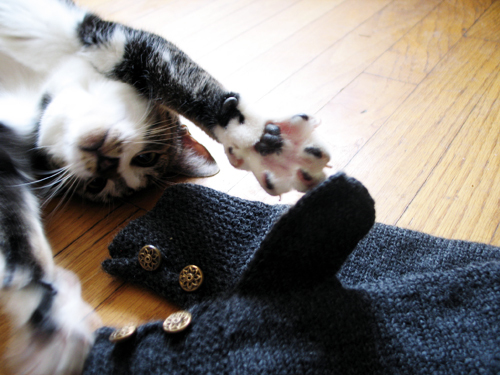 Those claws look awfully close to that sweater! Rest while you can and good luck with the new ventures! Squee! I love kitty paws.